You are here: Home / Blood Clots (DVT and PE) / Sometimes, the right decision hurts. Sometimes, the right decision hurts. Let’s be honest. The last year (or two) of my life was not exactly what I had planned. I didn’t expect to spend the last couple of years of my 20’s facing three of the greatest challenges of my life. Once I joked with my Dad that my life was practically half over at thirty, lately I’ve been starting to really hope I’m not right about that. I lost my mom, my health and my job – all way too soon and pretty much unexpectedly. I don’t ask “What’s next?” I don’t want to know anymore. I had come so far about three years ago. I started running, working out, lifting weights, eating right – I lost the weight, reversed the onset of diabetes and truly started to love myself for maybe the first time in my adult life. That all went to hell, sorry to be blunt. I’m not running, I’m not lifting or working out and you don’t even want to know how bad my eating habits got. I gained back what I lost at least and for a few months, I don’t think I really cared at all. I literally spent all day Tuesday on the couch. I don’t remember if I got dressed. I think I applied for a job or two and I know I watched the election results. But, after getting sick, most everything seems so trivial to me anymore. I don’t know if that changes or not. 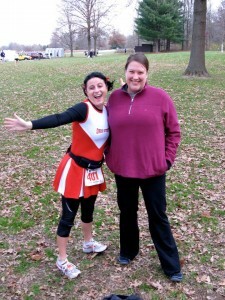 One of the things I have loved most about my life since I started running is Marathoners in Training (MIT). 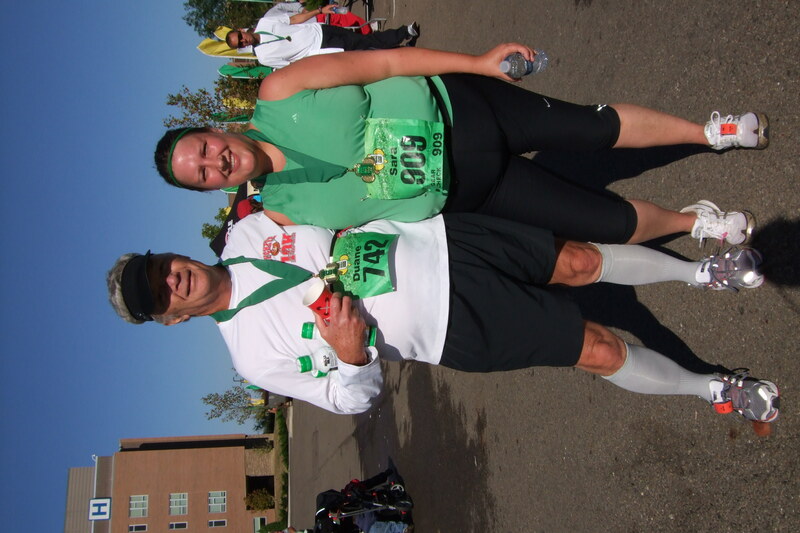 Their training program, coaching support, educational resources and unbelievable personal support and friendships got me to the starting line – and finish line – of my first half marathon in 2009. I am so incredibly grateful for MIT and the difference it has made in my life. I started coaching the 13 minute per mile pace group for MIT in 2011 and it was one of the happiest times in my (not-so-long) running life. I loved every second of it. 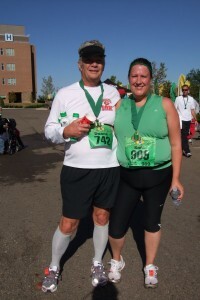 I loved seeing myself in newer runners and helping them achieve what they too thought was impossible. I made it to one training run of MIT this year – I literally went to the hospital that first weekend – and haven’t been back except for a walk here and there. I am thankful my two co-coaches and dear friends – Duane and Judi – were there to help when I couldn’t. I miss those guys most of all. And so, another session of MIT comes to an end with the Columbus Marathon a week or so ago and everyone is preparing for the start of the new session in September. Normally, I would be beyond excited to think of the upcoming season. This time, I decided I am not going to coach MIT for the Winter/Spring Session coming up. I can’t. I want to, believe me I do, but I just can’t. And that hurts. I know in my heart (plus Judi and Duane did confirm it!) that it is the right decision. I need to focus on getting well, building my own strength and hopefully start running again. I feel like I can’t lead others if I can’t even take care of myself right now. And I feel selfish for it, even though I am trying not to think that way. Recovery is a long road. And I haven’t made it very far at all. One step at a time, is what I keep telling myself. What would you have done if you were in my position? Could you give up something you love to ultimately take care of yourself? Tell me in the comments! Ah, Sara, such a tough road you’ve been on for the last few years. My heart is heavy for you for all of it and if I could reach thru this computer and hug you I would. But, you’re a runner and you are strong (even if you are having a challenging time right now.) Yes the road is slow and frustrating but I know that even though you are facing a big uphill battle climb that you can and will get to the top of that hill – one slow step at a time… Some day, years from now, you’ll look back at this time as a crummy part of your history that served to make you stronger. Dearest Sara.. of course everyone who loves you wants to see you do whatever you need to, to regain your health first! But I bet your MIT buddies would love to have you come out to a training session once in a whilte to help motivate the group and it might make you feel ‘included’ – don’t isolate yourself, Sara. The mental aspect of your healing process is going to be very important in supporting the physical process, don’t you think? Best wishes to you and the family from me and The Captain. Always. Well…you already know what I think and why, so I need not say it again 🙂 However, I will say that coaching with you and Duane was an amazing experience and I feel thankful to have you both as my friends. You are an amazing person who has been through a lot and continues to push forward. You will get your feet back under you and make your way back onto the road sooner than later. I think you did make the right decision….those are the toughest ones to make. I also think it’s hard when you are as selfless as you are, to remember that it is OK to put yourself first once in awhile. You have a big heart, but remember don’t let any of this slow you down. Just think of it as an annoying speed bump and mentally keep on blazing through. You’ll come out better in the end! 🙂 I think about how you are doing often….just remember, YOU ARE TOUGH AS NAILS!